2018 saw us move from self-sustaining development in Zambia towards the globalisation of our work. Here are our Ten Top Achievements for 2018. 1. 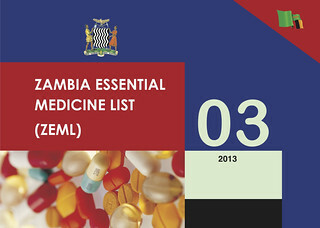 Zambia added co-packaged ORS and zinc to their Essential Medicines List. Zambia is one of the first few countries in Africa, and one of the first in the world, to list ORS and Zinc as a single treatment for diarrhea. This is vital, to ensure both medicines are prescribed – and our work has brougt about this change. Although our focus has been on the development of a diarrhoea treatment product for distribution through the private sector, throughout our engagement in Zambia we have enjoyed a close working relationship with the Ministry of Health. We have always operated under a Memorandum of Understanding with the Ministry which also chaired our Steering Group. This meant that the right communication channels were open to feed in the evidence we were generating and we were able to lobby for co-packaged ORS and zinc to be added to the Zambia Essential Medicines List. We first applied for this change in Jun-17 and 15 months later, in Sep-18 it was made. 2. 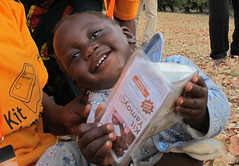 The Zambian Government ordered 250,000 ORS/zinc co-packs from their own budget. 3. 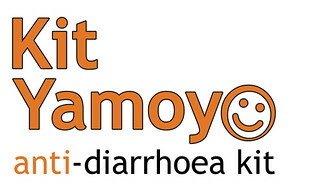 The KYTS Programme was completed (KYTS = Kit Yamoyo Transition to Scale). Our work in Zambia was guided and overseen by a wide group of over 20 organisations, spanning the government, the private sector and non-profits – both local and international. They have been an enormous help – gathering around a shared vision to improve access to Oral Rehydration Salts and zinc, to save and improve children’s lives. In Sep-18, the group met for the last time, to share lessons from our projects in rural and urban areas of Zambia, and to take on future responsibility. It was a great, interactive session, with organisations pledging to take on learning – for example, on improved collaboration, at local level, between village shop-keepers and health staff. The Permanent Secretary to the Minister of Health, Dr Kennedy Malama, chaired the session. He has ensured that our designs for co-packaged ORS and zinc, produced locally, are now on Zambia’s Essential Medicines list (see 1) and pledged to make sure lessons on communication and collaboration were shared across the Ministry. Read the full summary of the session here. 4. 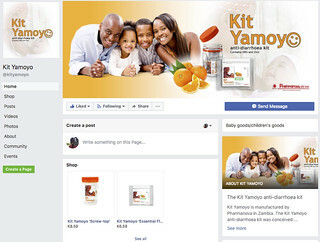 Pharmanova – the local manufacturer – took over the marketing of Kit Yamoyo. In May-18, Pharmanova – the local manufacturer – took on the role of product marketing with considerable zest and flair. They have done this with their own budget, with no input from ColaLife. 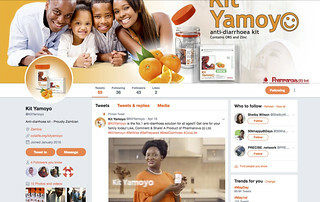 They transformed the Kit Yamoyo Twitter and Facebook pages (~4,500 likes). 5. ColaLife scored A/A+ for our major project in Zambia. 6. 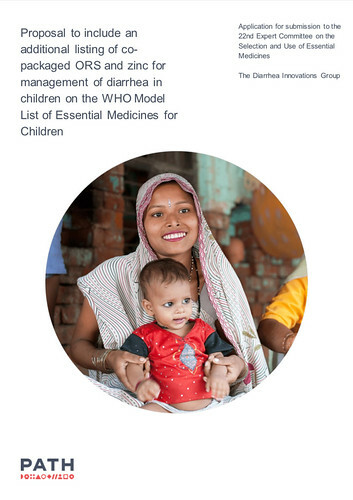 Application submitted to the World Health Organisation (WHO) to add co-packaged ORS and zinc to the WHO Model Essential Medicines List for Children. This is probably our single biggest achievement this year – in fact, if approved, it will be our biggest achievement to date! Our application grew out of the Zambian evidence and experience; if successful it will change the policy environment globally and make it far easier for other countries to replicate our Zambian work. National governments tend to follow the lead of the WHO when it comes to their own Essential Medicines Lists (EMLs). Once medicines are on a national list this de facto influences national health policy and facilitates the allocation of budget to buy these essential medicines. It will be much easier for others to take the evidence and experience generated by ColaLife in Zambia and apply it to their own circumstances if co-packaged ORS and zinc is already on their national EML. 7. 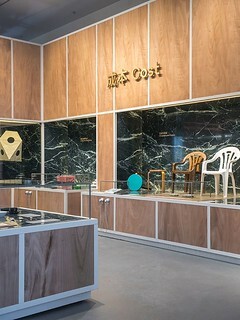 Kit Yamoyo designs in the permanent collection of the UK’s Design Museum. We have reported before that the Kit Yamoyo designs are part of the permanent collection of the V&A (Victoria and Albert Museum in London). 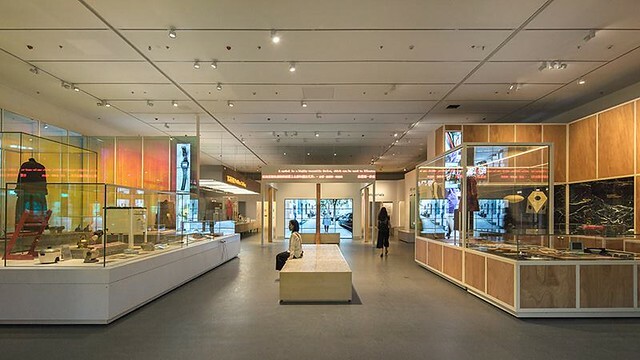 In July this yea,r Kit Yamoyo was added to the permanent collection at the UK’s Design Museum (>>more). In 2018, Kit Yamoyo was on full display in Shenzhen, China. Shenzhen borders Hong Kong to the north. 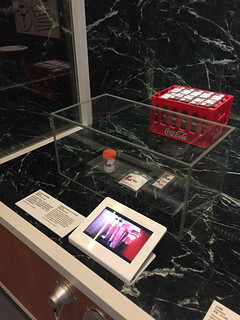 The V&A has a partnership with the Museum of the Design Society in Shenzhen and Kit Yamoyo featured in their inaugural exhibition. 8. Andy (our Chairman) ran the London Marathon for ColaLife. 2018 saw our first London Marathon runner. Andy Chapman, our founder Chairman, ran for ColaLife (and two other charities). He was surprised to be one of the few drawn out of the hat to participate – and even more surprised to do so well! Thank you Andy. Andy stepped down from the ColaLife Board in Dec-18 after 7 years of continuous service, 6 years as Chair and latterly as Treasurer, to focus on a new venture: bigmirror.org. We thank Andy for his sterling service and wish him the very best for the future. We are delighted that Emma Danforth has stepped up from her current trustee role as our legal expert to be our new Chair. Andy’s departure means that the Treasurer post is now open for applicants, so if you know someone, pass it on! In 2018 we refreshed our board with three new trustees joining us. The process of recruitment was open and competitive and we thank all those who applied. As mentioned above, we’ll need a new Treasurer in 2019, so it’s not too late to join us! Michael is an investment professional at CDC Group (the UK’s development finance institution) working in the consumer team focused on direct equity investments into healthcare, education, retail and agriculture companies in Sub-Saharan Africa and South Asia. Before CDC, Michael worked as a consultant for McKinsey for 3 years, advising private, public and social sector organisations in the UK, Europe and West Africa. Michael first supported ColaLife in designing the charity’s scaling strategy as part of the Ashoka Globaliser programme, and was later invited to become a Trustee. Zac, Founder and Chairman of Global Higher Education Partnerships, is also the company’s Chief Executive Officer. In addition, he is also the CEO of Z’S Local Limited, a local supermarket based in Leeds. He currently also serves as a School Governor. Zac has over 20 years of academic experience, in both further and higher education. During his extensive career at Leeds Metropolitan University (now Leeds Beckett University) he was a senior lecturer and gained recognition as an International Teacher Fellow following his huge contribution to Assessment, Learning and Teaching across the University and in Africa. 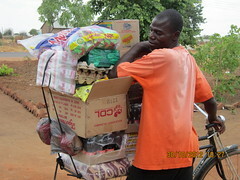 Zac helped to establish and run the distance learning Master’s Degree in Public Health in Zambia and the Gambia. He also managed a highly successful DeIPHE- DfID funded project from 2003 – 2010 on solid waste management for small and medium enterprises with Dar-Es-Salaam Institute of Technology in Tanzania and Chainama College of Health Sciences in Zambia. In 2008, Zac coordinated the signing of MOC between Association of African Universities, Commonwealth Association of Polytechnics in Africa and Leeds Met, which culminated in an international conference – UK-Africa Higher Education Partnerships. Zac holds a BSc(Hons) in Environmental Health, a master’s in Public Health Engineering and a PhD. He is married to Janet. Nicky is a freelance consultant specialising in social innovation, sustainable development and fundraising. Prior to her current role Nicky was Regional Partnerships Director for the British Council, covering 14 markets in Asia. Previously she worked for Nesta (the UK’s social innovation foundation) managing part of a £10m social innovation fund. Before that she held several international development roles living and working across sub-Saharan Africa and South Asia. Nicky is a Sustainability Lab Global Sustainability Fellow and holds a first class honours degree in international development from Kings College London. 10. Presentation at the Royal Society of Medicine. And finally, Simon Berry was honoured to be asked to deliver a keynote presentation at the Royal Society of Medicine’s conference on Design Thinking for Global Health. It was as if this conference had been designed specifically to enable us to tell the ColaLife story! The presentation ranked highest in all aspects of the audience’s evaluation of the event. The presentation and narrative are available to view and/or download here. Finally, as we say every year . . . a big thank you to everyone who has supported ColaLife throughout 2018. We have made amazing progress and couldn’t do it without our supporters.